Ryerson students can now help feed a child in need when they purchase a meal on campus. The university’s latest meal offering, the WE Special, has an appetizing social impact. Each purchase unlocks a meal for a child in need locally or globally. This initiative is the result of an innovative partnership between the charitable organization WE and foodservice provider Chartwells and will be implemented at over 600 schools across Canada. 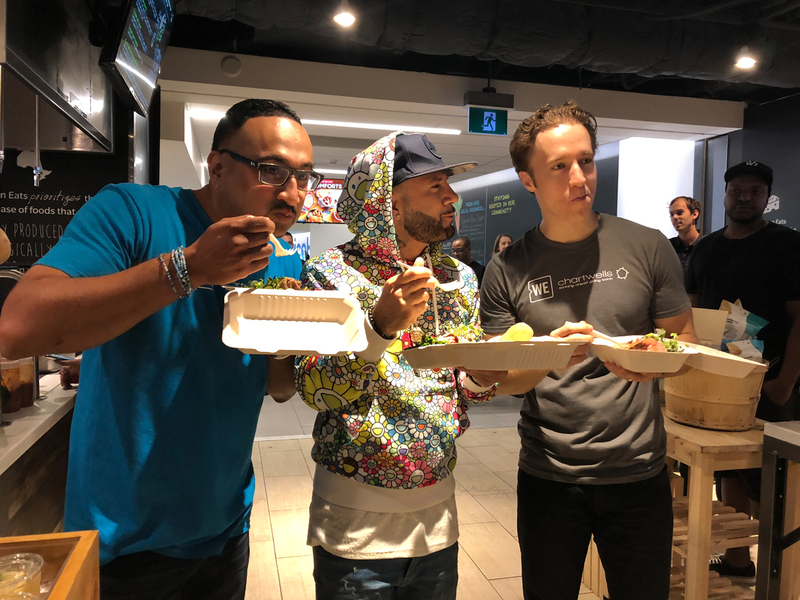 “Our mission at WE is to make doing good doable, so we want to provide easy ways that people can make a difference – literally as easy as the meal you pick today,” WE co-founder Craig Kielburger said. At the time of purchase, students will be given a code they can enter online using WE’s Track Your Impact service to pinpoint where their donated meal has been delivered. They can also share their impact to social media. The partnership is a key element of Chartwells’ Thinking Ahead Giving Back initiative which outlines that over the next three years the company will deliver a million meals, provide 10,000 hours of community support and create 1,000 jobs. Sequeira’s desire to use Chartwells’ platform to give back came into fruition when he met Kielburger through a mutual friend last year. With both organizations tackling the issues of youth poverty and hunger, there was a natural fit. Another natural fit was using Ryerson as the launch site for the partnership. “I think Ryerson is an awesome example of social action,” Kielburger said. “This school is always deeply involved, the students are amazing in their dollars raised and hours of service, it has a phenomenal series of programs including social entrepreneurship, and so it was a logical choice to launch here. 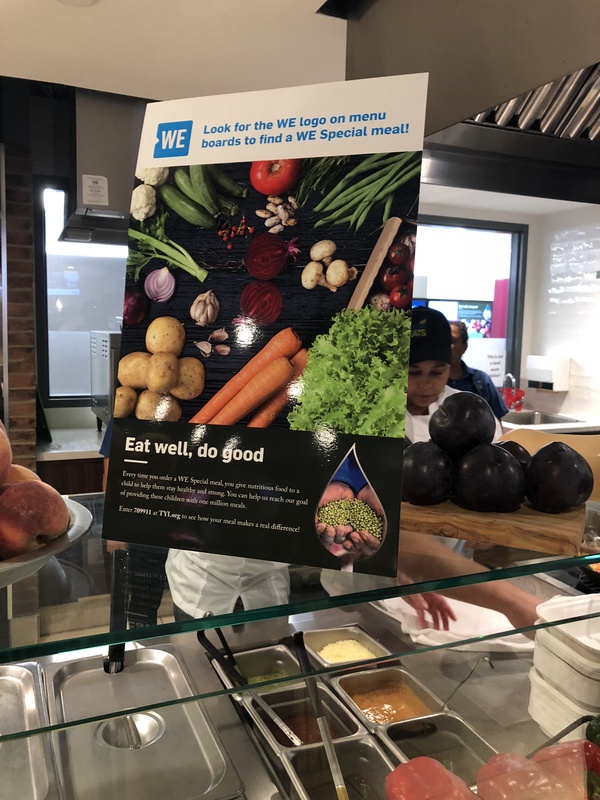 Alongside the meal, Ryerson’s Hub Café and select post-secondary dining locations will sell product from ME to WE, WE’s consumer-facing enterprise, including ME to WE Chocolate and rafiki bracelets. WE is also encouraging university students to get involved with their annual Halloween initiative, WE Scare Hunger. Students can come together and knock on doors on Halloween not to collect candy but instead canned food for local food banks. The campaign was developed by an American university student but to date has been taken on primarily by elementary, middle and high school students. The push to an older student demographic represents the first steps of the organization’s early-stage WE Universities program. 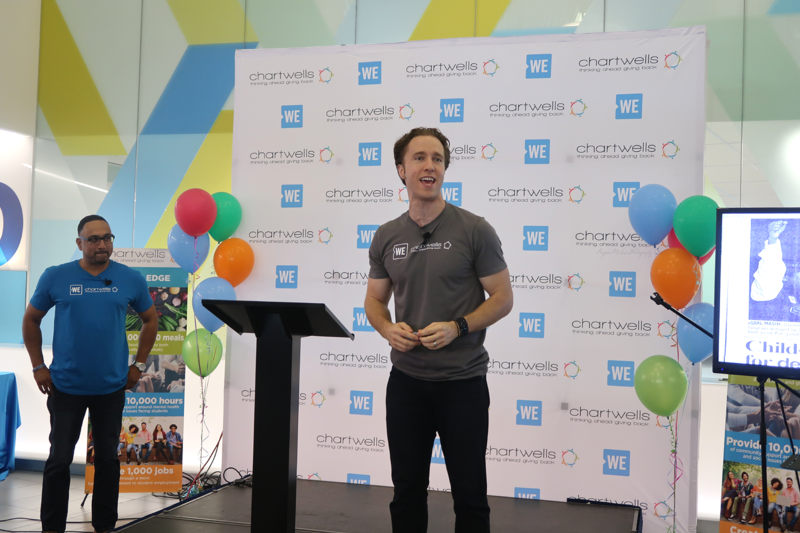 “As students have gotten older they’ve left high school and are now in university and so we want to make sure that we can grow our programs to continue supporting them and their work,” Kielburger said. Kielburger recognized students in university are often limited on resources and time and may feel they have no power to make a difference. In reality, they have plenty.